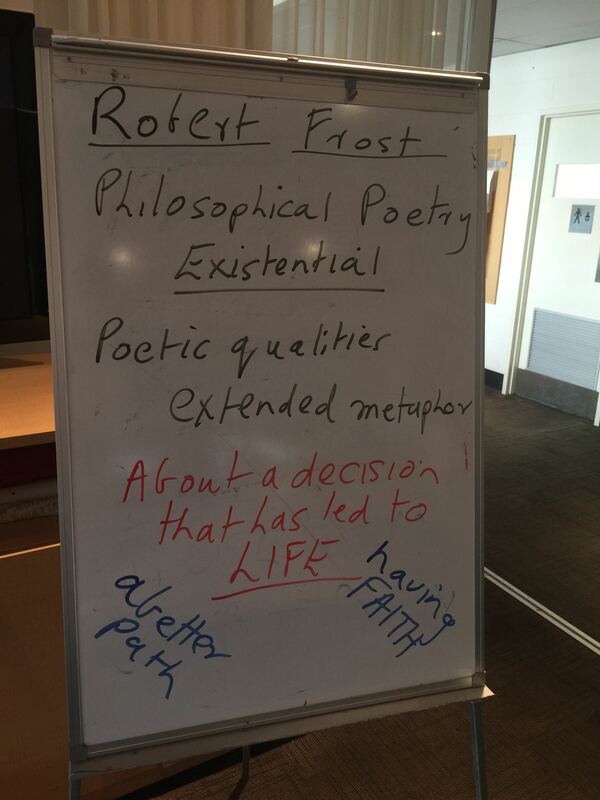 What a fantastic session we had this week with Henry Lawson and Robert Frost. Both these poets display such a deep insight into the human condition but do it in such dramatically different ways. What he “might have been and wasn’t” comes along and troubles him. LIke so many of Lawson’s stories and poems this one gives a voice to some of the forgotten, poverty stricken people in the world. Lawson was able to understand and respond to people like this because of his own background growing up on the gold fields and then carving a career for himself as a writer in Sydney- a place where writers were not paid much and always needed supportive hand -outs. In his later life Lawson indeed would have understood the lines of his own poem “Sweeney” even better, because Lawson’s life took a tragic turn in his last years. 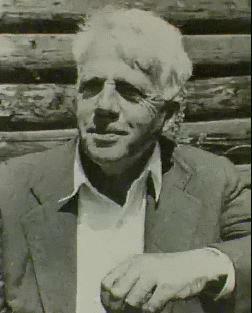 The poem by Robert Frost “The Road not Taken” is completely different in its poetic approach. It doesn’t tell a story, but it does provoke deep questions, just like Lawson’s poem does. But it does this in a different way. It describes what might be an ordinary country scene where there is a fork in the road – it could be anywhere in the bush somewhere (or in the “woods” as the Americans call it). Frost describes the scene so that you almost feel as if you are standing there in the spot being described: there are the leaves lying loosely on the path and the tufts of grass. But almost immediately (unlike the Lawson poem) you realise that it is not a real place that interests him so much, but the symbolism of the place, the fact that this fork in the road is the like the fork in a person’s life: which path will I take? which path will give me the most satisfaction as a human being? Can I know in advance where this path will lead? 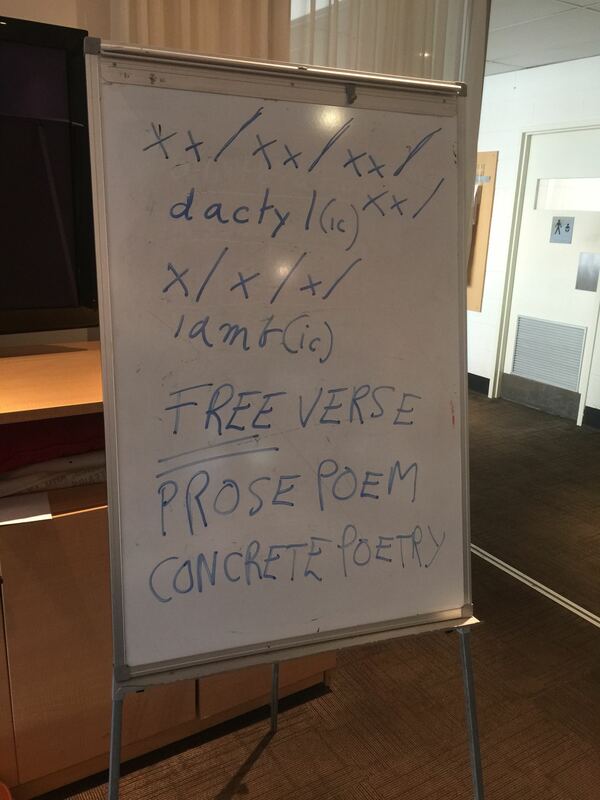 It was great to hear so much discussion arising from this poem (listen to the audio!). 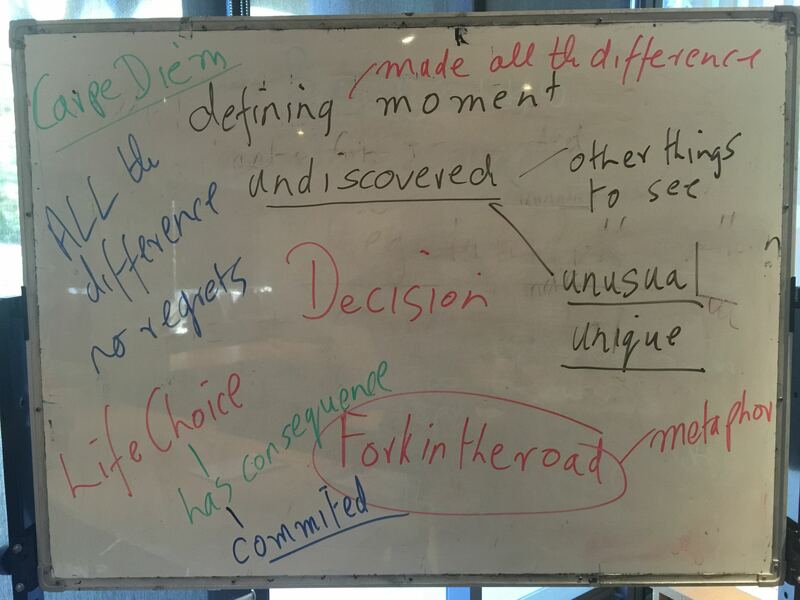 Everyone in the group seemed to be able to identify moments in their own life where such a fork had occurred and where they had made a decision. For some the fork led directly into the room in which this poem was being discussed!!!!!!!!!!!! Thank you all for your great conversations on both poems. 1. 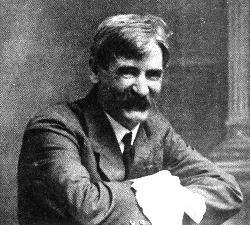 Try to write two or three stanzas (in the style of Henry Lawson) describing a person you have known. 2. Try to write two or three stanzas (in the style of Robert Frost) describing a situation where you have had to make a difficult choice. 3. Find two or three good web sites that could help to introduce one of our authors to the wider public. Introduce the web sites with a few well-chosen comments helping your reader to see why you chose these. Consider this like a mini- digital kit that others could come to in order to find out more about an author and his/her works. 4. Write a short summary of why you think “The Road Not Taken” is such a thought-provoking poem. ← The Invention of the Wrist Watch: The Work of the Devil? 1.ACU Main Web Site This will get you back home quickly! 2.ACU LEO This will get you straight back to your LEO unit! Quick as a flash! 3.ACU Library Go and dive into the ACU database! 4.A guide to English Grammar Very useful help for improving your writing accuracy. 5.Get Your Grammar Checked Very useful tool for teaching you grammatical correctness. 6.How to Write Effective Blogs Some useful tips here!